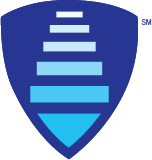 College Steps is honored by the opportunity to partner with an ever-growing number of colleges throughout the country who are interested in innovating their support service models to meet the needs of students living with social and learning disabilities. If you don't see your location listed here, please contact our team. ROCKLAND COMMUNITY COLLEGE Rockland Community College, State University of New York, is located 25 miles northwest of NYC. The majority of its students transfer to four-year colleges, and many find immediate employment upon earning their associate's degree or certificate. RCC offers 50 programs in the humanities, social sciences, arts, technologies, business, health professions, mathematics and sciences, including 40 associate’s degrees and 10 one-year certificate programs. CONNECTICUT COLLEGE The campus is located on 750 acres of arboretum nestled within the historic New England seaport community of New London. Founded in 1911, Connecticut College is a liberal arts school with roughly 1,900 full-time students. It offers more than a thousand courses in 29 academic departments and seven interdisciplinary programs. Students can choose from 41 traditional majors, plus opportunities for self-designed courses of study. NORWALK COMMUNITY COLLEGE (NCC) is a public community college in Norwalk, Connecticut and is the second largest of the twelve colleges in the Connecticut Community Colleges. NCC supports around 6,000 full- and part-time students in credit programs and about 5,800 students in noncredit programs. NCC has an open admissions policy, offers 45 associate degree and 26 certificate programs. Graduates of NCC are eligible for articulated admission to the Connecticut state university system and the University of Connecticut. NCC is a valued partner and has a regional reputation for excellence in education and diverse learning opportunities. AMERICAN INTERNATIONAL COLLEGE Founded in 1885, nestled in the heart of western Massachusetts, AIC has a proud history of inclusive educational practices from its inception. Today, AIC is home to over 1,700 undergraduates and some 450 graduate students. American International College offers an exciting variety of curricular opportunities for College Steps students. College Steps is particularly appreciative of the support we’ve received from Learning Services at AIC to support the on-campus learning opportunities and integration. COUNTY COLLEGE OF MORRIS (CCM) Located in the small township of Randolph in Morris County, New Jersey, County College of Morris serves 8,500 undergraduates each year. Students can choose from more than 50 Associate Degree programs and over 25 certificate programs to begin their academic career. After completing their degree, CCM graduates have transferred to more than 480 four-year institutions across the country. NORTHERN VIRGINIA COMMUNITY COLLEGE (NOVA) – ALEXANDRIA The Alexandria Campus is a unique academic institution; a close-knit community of various academic programs located within minutes of the nation’s Capital. It has more than 17,000 students and offers 13 world languages, English as a Second Language program, the Motorcycle Training program via Workforce Development. It is also home to one of the area’s premier entertainment venues, the Rachel M. Schlesinger Concert Hall and Arts Center, which seats over 500. NORTHERN VIRGINIA COMMUNITY COLLEGE (NOVA) – ANNANDALE The Annandale Campus offers a variety of academic programs, workforce development classes, events and campus facilities to more than 23,000 students each year. Located 14 miles south of Washington, D.C., the campus sits on 78 acres. The Annandale Campus is the largest NOVA campus site with 15 buildings. Here you'll find many classroom buildings, a gymnasium, theater, greenhouse, police station, the Ernst Community Cultural Center, Workforce Development and a new Student Services Building. NORTHERN VIRGINIA COMMUNITY COLLEGE (NOVA) – LOUDOUN The Loudoun Campus provides a variety of academic programs, workforce development classes, student activities, events and campus facilities to more than 11,000 students each year. Located on 93 acres, the Loudoun Campus consists of eight buildings including the Waddell Theater and Art Gallery. The campus features state-of-the-art science and computer labs, a veterinary teaching hospital, a commercial grade greenhouse and an interior design resource library. CASTLETON UNIVERSITY With a history dating back to 1787 and located in the heart of Rutland County, Castleton University is a public liberal arts school and home to over 2,100 undergraduates, over 150 graduate students and approximately 330 academic and administrative staff. As with each of our campus partnership, Castleton University provides a wide array of enriching opportunities for College Steps students. Castleton University students, faculty and staff have been outstanding partners and have consistently gone above and beyond to welcome College Steps students and staff with open arms and hearts. 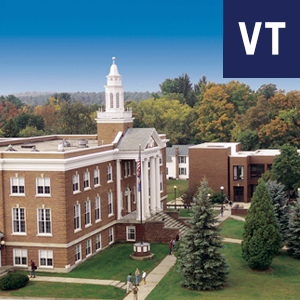 NORTHERN VERMONT UNIVERSITY – JOHNSON With a history dating back to 1838 and located in the cradle of the northern Green Mountains, NVUJ is a public liberal arts school and home to over 1,500 undergraduates and over 220 graduate students. 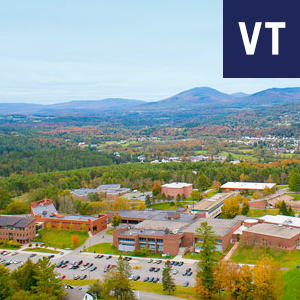 NVUJ provides a wide array of enriching opportunities for College Steps students and provides one of the most breathtaking college campuses in Vermont. 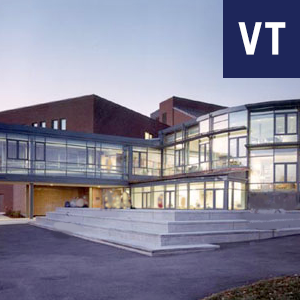 NORTHERN VERMONT UNIVERSITY – LYNDON Serving just over 1500 undergraduates at a picturesque Vermont campus, NVUL provides the perfect combination of rich academic learning experiences with a variety of extracurricular opportunities. The faculty, staff, and students at NVUL have consistently been outstanding partners to College Steps and have gone out of their way to welcome College Steps students as full members of the college campus community. To find out more, email us at contactus@collegesteps.org.